Frogs are wonderfully diverse creatures. They can be found in environments ranging from deserts to snowfields and waterfalls. They cope with all kinds of weather extremes, but can they cope with environmental changes that we make? What can you do to help frogs in your neighbourhood, and how can you encourage them into your backyard? Frogs don’t live everywhere. Each kind of frog has specific requirements for all types of things, like water, temperature, humidity and even barometric pressure. Some have interesting habits like burrowing underground, or breeding only in running water. It is best not to move frogs, even within suburbs. If the new area is not quite right, they will most likely die, migrate away or interfere with frogs that belong there. If you want frogs in your garden, provide the best conditions you can. If frogs live nearby, they will come to you. Frogs need insects to eat, humidity, hiding places and a suitable place to breed. Grow lots of plants of various heights in your garden. Keep the yard well watered. Mulching the garden beds and keeping a compost heap will attract insects. Frogs love vegetable gardens and greenhouses. Avoid using garden chemicals, as frogs absorb chemicals through their skins easily and may eat poisoned insects. Male frogs call in the breeding season to attract a mate. Eggs are usually laid in or near water, and may be set in a sticky white froth or a clear gel. If conditions are right, they hatch within a few days. Tadpoles mainly feed on decaying plant matter. They gradually develop legs and lungs and metamorphose into frogs. Water quality and temperature, availabile food and competition with other tadpoles all affect their growth rate. This stage of life cycle can take up to ten weeks or more in warm weather. In winter, tadpoles may not grow at all. When froglets emerge from the pond, they feed on small insects such as mosquitoes, vinegar flies and slaters. Larger frogs eat larger insects and other small creatures. frogs in turn are eaten by many predators, such as birds, fish turtles snakes and other frogs. Any non-metallic clean container can be used. Tadpoles prefer shallow water with a large surface area. Toddlers’ “clamshell” wading pools are suitable. Tadpoles are very heat sensitive. A position receiving 75% shade for most of the day is best. Frogs call at night and can be quite loud, so don’t put a pond near a bedroom window. Water must be chlorine and chemical free. Stand tap water in sunlight for 5 days, so chlorine can dissipate. Don’t use chlorine neutralising drops. Keep spare chlorine free water on hand. Native water plants such as nardoo or reeds, provide shelter, rest areas and food. They also help to balance the eco-system, and keep the water clean. Avoid noxious weeds such as water hyacinth and salvinia, which can choke waterways. Pacific Blue-eyes, Pseudomugil signifer, native to the Brisbane region, eat mosquito larva, but not tadpoles. Keep 3 or 4 in a small pond and feed them once a week with fish food. Once tadpoles develop front legs, they need to be able to climb out of the water. Ground dwelling frogs particularly, need a rough slope they can climb easily, or they may drown. A slope can be provided by rocks or branches protruding from the water, or by floating water plants. Feed tadpoles boiled lettuce. Use unwanted outer dark green leaves from your green-grocer. Wash thoroughly to remove pesticides, then boil until soft (15-20 minutes). Boiled leaves may be conveniently stored in plastic ice cube trays and frozen ready for use. Feed tadpoles as much food as they will eat every 1-3 days. Remove any remaining food before re-feeding. Too much food will foul the water; not enough and the tadpoles will eat each other. Boiled milk thistles, paw-paw leaves and thinly sliced zucchini may also be used for variety. The larger size fish over 30mm may eat tadpoles, so you may wish to separate them until tadpoles have reached a sufficient size. White Cloud are not native fish – please avoid these. Acres of Plants 98 Hope Crescent Ave, Hope Island Ph: (07) 5530 8672 Fax: (07) 55308676 – Wide variety of frog friendly plants. Sprays or chemicals not used. WHOLESALE PRICES. Amethyst Nurseries 74 Ishmael Road, Camira OPEN 6 days – closed Thursday. Plants suitable for frog-scaping. Also 150 litre half wine barrels with water plants. Bolly Gum Nursery – David Sommerville – Ph: 3300 2691 for appointment. David specialises in rainforest and bog species. Bush Nuts Native Nursery – 64 Syndicate Rd, Tallebudgera Valley Ph/Fax: (07) 5533 8105 for list. PLEASE PHONE FIRST. Wholesale to the public. Wide range native plants, quantities ranging from a few to thousands. DPI Nurseries – Check your phone book for your nearest DPI nursery. Fairhill Native Plants & Botanic Gardens – Fairhill Road, Yandina. – Ph: (07) 5446 7088 Fax: (07) 5446 8131 Full range of frog friendly plants inc. water plants, grasses and sedges. 10% discount when QFS membership card shown. Gilston Nursery – Ph/Fax: (07) 5533 2494 – We grow a range of native, grasses & sedges, water & bog plants, lomandra & dianella, trees, shrubs & ground covers. We cater for wholesale & retail, with some varieties available in larger numbers. Greening Australia Nursery 57 Paten Rd, The Gap. Ph: 3300 6304 for species list. Offers natives of SE Qld and as wide a range as possible. Open Tue, Wed, Thurs 9-3. Sat 9-1. Nielsen’s Native Nursery – 51 Beenleigh-Redland Bay Rd, Loganholme. Open 7 days Ph: 3806 1414 Brisbane & Logans largest range of Australian Native plants. Water features, ponds and plants for your frog friendly garden. Parsons Nursery – Lot 92, Koreelah St, Murphys Creek 4352 – Ph: 4630 5364 Groundcovers, shrubs, trees, reeds. 10% discount when QFS membership card shown. Rathies Rare Plants – 5 Salston Rd, Greenbank Ph: 3200 0268 (phone first) Huge range of native plants, grasses, sedges & 300+ rainforest species. Wholesale prices – 10% discount for volume. Redland IndigiScape Centre, 17 Runnymede Rd, Capalaba ph: 3824 8611 – For tube stock of various outer pond plants. Tues-Fri 10am-4pm – Don’t miss the Plant sale first Sat of each month. 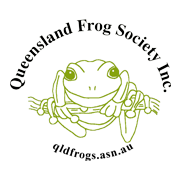 Wishart Nursery – 533 Mt Gravatt Rd, Wishart – Ph/Fax 3349 5426 – Good economically priced frog ponds and various frog garden plants.